“The Lady Gang” is always an entertaining listen. Kelti Knight, Jac Vanek, and Becca Tobin get together weekly to share their insight on pop culture news, give advice to listeners, and interview their amazing celebrity guests like Ashley Tisdale and Sophia Amoruso. I absolutely love listening to this podcast, Its so relatable and hilarious. Once My sister and I laughed ourselves to tears while we were stuck in traffic listening. I look forward to Tuesday morning when a new episode is waiting for me in my podcast feed. You can listen to The Lady Gang here or subscribe to them on iTunes. 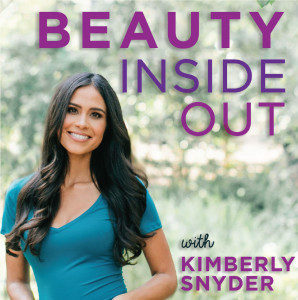 Beauty Inside out is an amazing informational podcast that covers everything health, wellness and beauty. Celebrity nutritionist Kimberly Snyder is the host of the this bi-weekly podcast. Her Monday episode is spilt into two segments, during the first she shares her opinion on superfoods, cleanses, and finding balance. Then for the second she interviews big names in the health industry, which I find so fascinating. Her Friday Q&A episodes are short and sweet. Kimberly’s philosophy is centered around being beautiful from the inside out and she answers listeners questions with this perspective. I love this podcast because I am so interested in Nutrition. I definitely recommend this one, It may take a few episodes to get into but I think you guys will love it. You can listen & subscribe to Beauty Inside Out here.